Lance Berkman spent the first 12 seasons of his outstanding All-Star caliber career hitting in the middle of the Houston Astros lineup. Lance Berkman was an intricate part in helping the Astros make it to the 2005 World Series. The 6x All-Star finished his outstanding career with the St. Louis Cardinals where he won a World Series Championship. 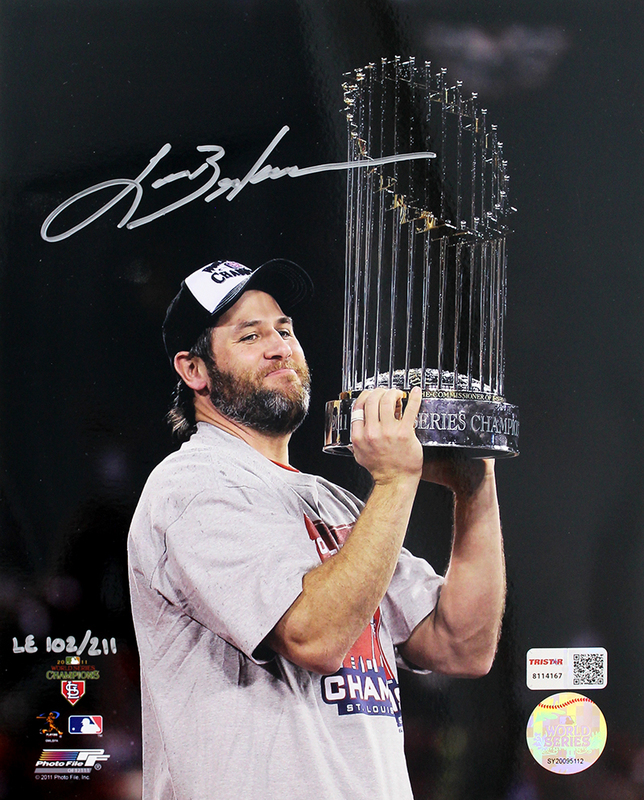 Lance Berkman has hand signed these 2011 World Series 8x10 photos picturing him holding the Championship Trophy. Each photo is a Limited Edition of 211. Each autograph is guaranteed authentic, and includes an individually numbered, tamper-evident TRISTAR Authentic hologram.